The American Ladder Institute (ALI) is proud to present its third annual National Ladder Safety Month February 24-March 30, 2019! Wondering why you and your employees should participate in this special event? Here’s four good reasons. 1. It’s the perfect opportunity to brush up on ladder safety basics. When’s the last time you focused on ladder safety? Unfortunately, more than 100 people die in ladder-related accidents and thousands more suffer life-altering injuries. 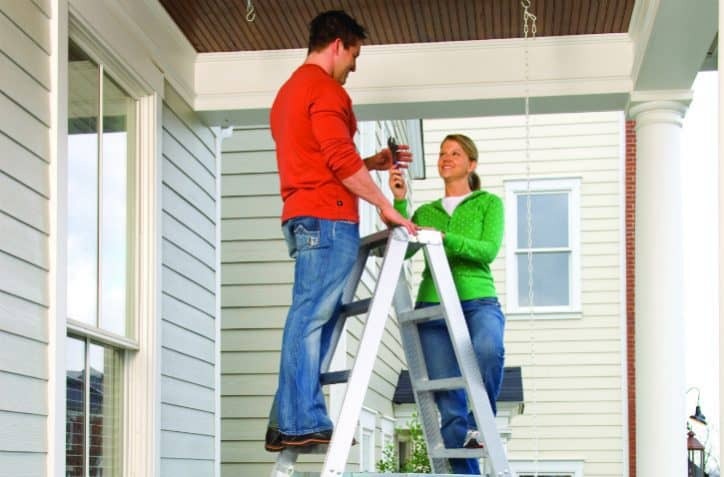 Ladder injuries are largely preventable, and the goal of National Ladder Safety Month is to build awareness among professionals and homeowners about safely using and caring for ladders. National Ladder Safety Month is the perfect opportunity to complete ALI’s Ladder Safety Training—a no cost certification program that provides comprehensive education on this potentially life-saving topic. 2. You get access to free resources. And the best part? All these resources—including ALI’s Ladder Safety Training—are totally free. 3. You can show and share your dedication to ladder safety with a larger community. Use the #LadderSafetyMonth tag to show how you and your employees are celebrating National Safety Month—and follow that tag to see how other organizations are making proper ladder use a priority. It’s a great way to connect with others, share ideas and potentially build relationships with companies that share your same values and goals. 4. Ladder safety should be top of mind every day. While National Ladder Safety Month is one month a year, it inspires people to safely use ladders long after the event ends. A ladder injury can have long-term ramifications for an employee and an organization. Taking the time to participate in National Ladder Safety Month is a simple and unique way to help prevent ladder accidents from happening. Want to learn more ways to get involved in National Ladder Safety Month? Contact marketing@americanladderinstitute.org.